Your future home is much more than just a financial investment; it will also become the place where many of your most important memories are made. Before that can happen, though, you need to ensure you’ve selected the right home and that you’re prepared to get the most out of it by having a home inspection. Conway Inspections owner/operator Clint Conway performs inspections as an off-duty fireman, and he also has years of construction and remodeling experience under his belt. Clint places a major emphasis on safety and education during each inspection. You’ll receive a detailed home inspection report, along with invaluable insight that can help you for years to come. Additionally, our services include pool and spa inspections and exterior structures. We have a great deal of experience inspecting properties located near or on a lake or in a rural setting. When it comes to buying a home, time is of the essence. That’s why we use HomeGauge’s Create Request List (CRL)™ to simplify and speed up the process. All the notes and photos we take during the inspection will be loaded into your CRL™ dashboard. From there, you and your agent will be able to assess the listed issues and determine which ones need to be repaired before you finalize everything. 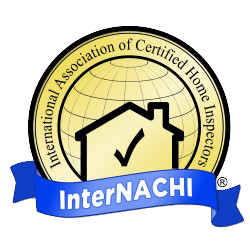 Our home inspections are available throughout the Dallas-Fort Worth, Texas area. This service area includes all of Dallas County, Collin County, Henderson County, Kaufman County, and Rockwall County. Don’t delay; call today to book your inspection!